Home / Weight Loss / Real Weight Loss Stories / Taryn Brannon On Going From 270 lbs. to 143 lbs. Taryn Brannon On Going From 270 lbs. to 143 lbs. 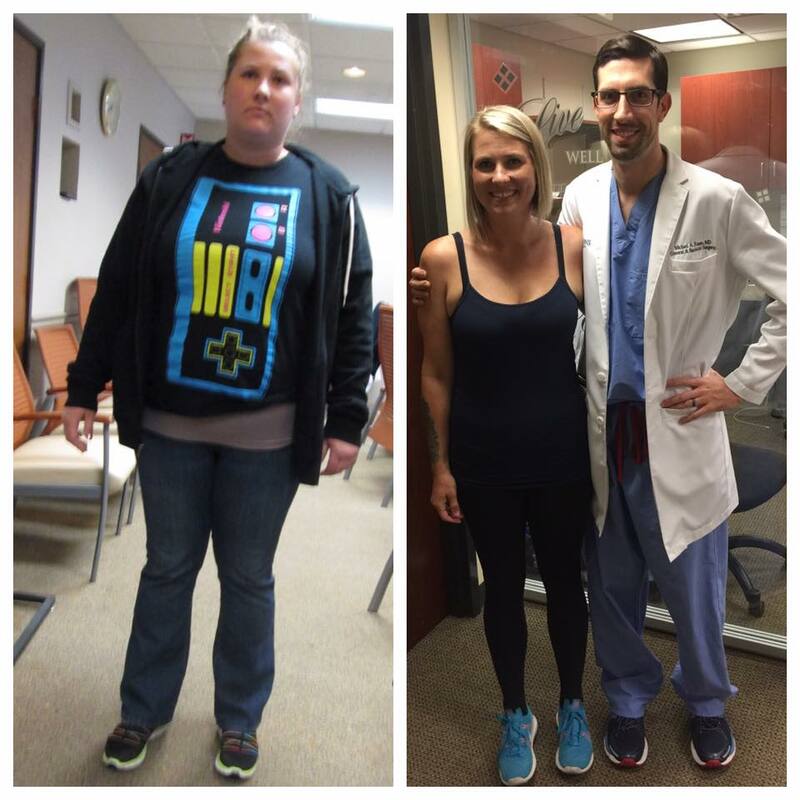 Last year, Taryn Brannon, 29, weighed 270 lbs. and now, at 5’9″, she’s down to 143. The high school administrative asst. was always active and in good shape but then she developed a thyroid condition that slowed her down. She became depressed and used food as a coping method. She tried various diets, but nothing worked. Then she opted for a gastric sleeve where her stomach was reduced by 85%, making her physically unable to consume the amount of food she once did. Board-certified bariatric surgeon Michael Russo, M.D. says that surgery should be a last resort, but Taryn was an ideal candidate. In addition to being obese, she suffered from Iron deficiency, hypothyroidism, autoneurophathy, chronic tension headaches, autoimmune thyroidism and elevated cortisone levels. Today, those conditions no longer plague her and she’s working out with a personal trainer 3x/week and walking 2 miles/day. She’s thrilled to have her old life back. Women Fitness explores Taryn’s wonderful weight loss journey. I realized I needed to lose weight about 3 years ago. I had gotten to the biggest weight I have ever reached — 270 lbs. I didn’t like what I saw in the mirror and I just felt uncomfortable with myself. How has your weight loss journey been? I tried many diets and, while I would lose weight for a time, I would always gain it back. I finally realized that I needed help — a more drastic form of help. I did a lot of research and learned about the gastric sleeve procedure. I met with several bariatric surgeons and settled on Dr. Michael Russo at Smart Dimensions. I trusted him because he took a detailed history of my weight gain journey and wanted to know in detail about the various diets I tried. He emphasized that surgery should always be the last resort. I felt this was my last resort and, for me, it was the answer. In one year, I have lost 122 lbs and am nearly at my goal weight. I’m 5’9″ so I wear the weight pretty well. the weight loss has inspired me to adopt a new lifestyle where I’m eating better and exercising more. What was your fitness regime like during this period? I started out by simply making sure I took the stairs at work and parked far away so I had to walk more. Now, I walk at least 5 miles a day. With fitbit I was able to have challenges with others, which really motivated me to keep moving. I have my brother to support me at the gym and he helped me with weights and to push myself further then and now. In a typical day, what is your diet like? I drink hot lemon water first thing in the morning with a banana, I like to stay healthy and easy. I avoid greasy foods and I am not even tempted by them anymore. I love my protein and salads. I choose protein over sugar. But my go-to snack is a hard boiled egg or fruit. I also keep a protein bar in my purse at all times just in case I get hungry wherever I am. My brother and mom have been the best motivation. My brother helps me with my routine, questions my choices and makes sure I make it to the gym or out for cardio. My mother helps by eating the same foods as I do. This is particularly important as it can be tempting to eat outside your diet if everyone around you is doing so. How do you plan to maintain your healthy weight & body? I will continue my cardio routine, going to my training sessions and choosing to eat right. I know if I go somewhere where the food options are not healthy, it’s ok because I stay on track most days. I will never go back to where I was because I love my new life…no more being a couch potato for me.